We Know About Pests, You Can Too. Visist Our Pest Library for information on the habits and habitats of some of the most common pests plus easy ways to control them. Most Florida residents and visitors are very familiar with the state's mosquitoes and biting flies but fail to recognize the immense numbers and diversity of insects that call the state home. While many of these insects do not cause serious problems, they can become nuisances, medical threats, and unwanted occupants of homes and businesses. 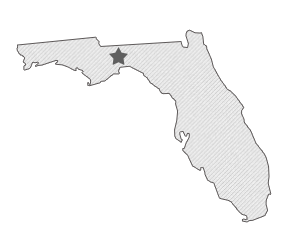 Florida is home to numerous pest insects that can become serious issues for homeowners throughout the state. Some bring health concerns due to their association with filth such as flies and cockroaches. Others, like mosquitoes, can spread disease through their bites. From stinging and biting pests to those that can inflict physical damage to your house, many insects thrive in the year-round hot and humid climate. Cockroaches and ants regularly invade Florida homes in search of new sources of food and shelter from the elements. While inside, these pests can destroy and contaminate food stores. Additionally, cockroaches are known to spread disease, while their feces and shed skins can lead to allergic reactions and asthma attacks. Most ants become problems when their outdoor colonies begin looking for food inside a structure or grow too large, building nests behind walls, under structures, or in yards and gardens. Certain flies are nuisances due to their prolific breeding habits and their general connection with filth. House flies and bottle flies regularly lay eggs in decomposing organic matter and therefore can transmit various illnesses to residents. On the other hand, black flies, midges, and mosquitoes cause Floridians grief or life-threatening disease due to their bites. Finally, warm, humid Florida springs and summers routinely bring around other pests such as hornets, yellow jackets, and wasps. These social insects fiercely defend their nests and sting at will. Residents also encounter pests that cause structural damage to their homes and businesses. For example, Florida is home to various termite species. Eastern subterranean and Formosan subterranean termite colonies can number in the millions of individuals and go undetected for years, feeding on wood structures damaged by moisture. Homeowners in Florida also come across carpenter ants with some frequency. Sometimes confused with termites due to their similar appearance (winged reproductives called swarmers), these pests don't actually eat wood, but instead tunnel inside to make their nests.